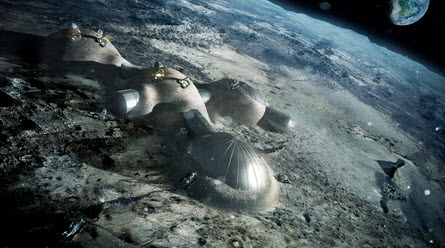 Renowned architects Foster + Partners have joined with ESA to test the feasibility of 3D printing using simulated lunar soil (regolith). The architects devised a weight-bearing “catenary” dome design with a cellular structured wall to shield against micrometeoroids and space radiation, incorporating a pressurized inflatable to shelter astronauts. A hollow closed-cell structure — reminiscent of bird bones — provides a good combination of strength and weight. 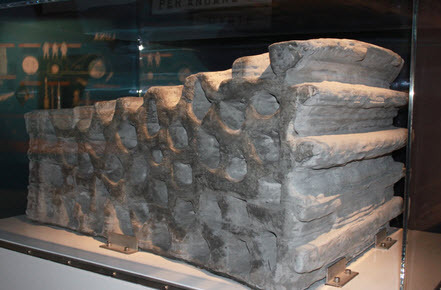 The base’s design was guided by the properties of 3D-printed lunar soil, with a 1.5 ton building block produced as a demonstration. 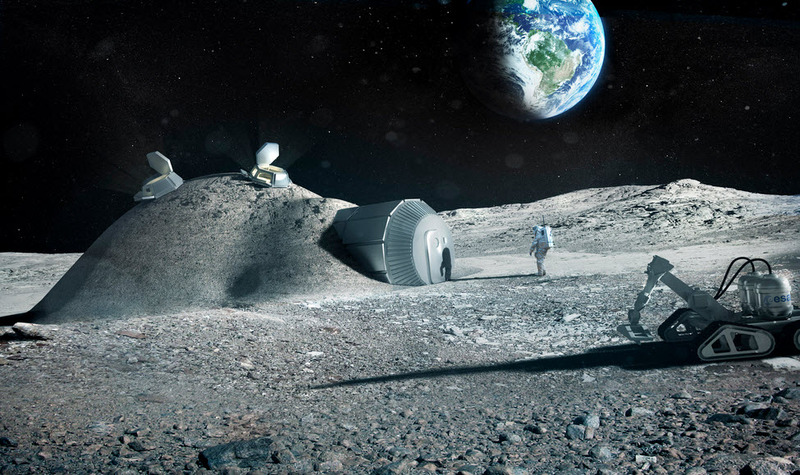 “3D printing offers a potential means of facilitating lunar settlement with reduced logistics from Earth,” said Scott Hovland of ESA’s human spaceflight team. 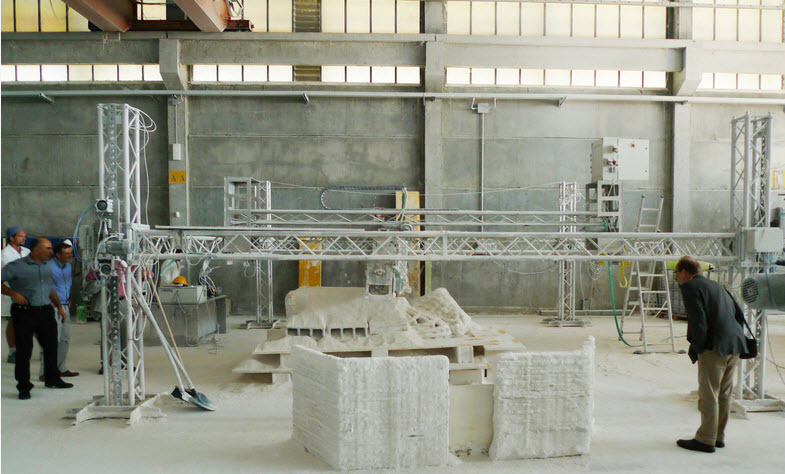 The UK’s Monolite supplied the D-Shape printer, with a mobile printing array of nozzles on a 6 meter frame to spray a binding solution onto a sand-like building material. 3D printouts are built up layer by layer — the company more typically uses its printer to create sculptures and is working on artificial coral reefs to help preserve beaches from energetic sea waves.